Ricky Jackson was a teenager interested in a local robbery. By the time he got to the corner store that had been robbed, a mild-mannered Harry Franks lay dead on the floor after having battery acid splashed in his face and being shot twice at point-blank range. The body lay under a sheet, and since there was nothing to see, Ricky Jackson and his friends thought nothing of it. That was until the following day when armed police raided his home and took him into custody. Apparently a 12-year-old neighbor, called Eddie Vernon, stepped forward when police asked if anyone had seen the robbery. The court case shows that Eddie Vernon’s testimony was weak. It was contradictory and shallow. 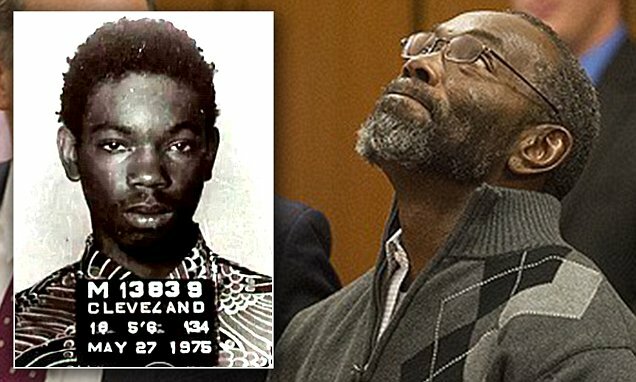 However, Vernon’s testimony was one of the key pieces of evidence that led to a death sentence for Ricky Jackson. He was scheduled for death by the electric chair on May 29th, 1976. Jackson says that he felt numb. Appeals kept him from the chair long enough until the courts commuted all death sentences in his state to life imprisonment. Many people would despair in such circumstances. Ricky Jackson rose to the challenge. He created a world in his own mind that he could retreat to. He gained a degree in horticulture and cared for plants. He trained dogs. And he prayed. When he came up for parole Jackson would seem unrepentant. It is hard for an innocent man to appear to have real regrets. The court responded by sending him back to jail. How would we respond if we were falsely accused by the authorities and jailed for 39 years? I have only been apprehended twice. I realise that is probably twice more than most people. said that he wanted to take me in for questioning I went to run. He was too quick for me. He grabbed my hand and put it in a lock behind my back. I told him that I did not trust him. I was not going with him in his little red car. He could break my arm, but I wouldn’t give in. He announced that he was arresting me on suspicion of robbery. We came to a compromise and agreed to go to a person’s house where he could call for backup. When two or three squad cars arrived I felt rather embarrassed and agreed to go with them. He asked me where I was coming from and I said that I had been at a Bible study. They didn’t believe me, but we retraced my steps and the alibi checked out. The next day I found out that my friend Neil had been robbed in the alley. Someone had taken all his money that he had collected for delivering newspapers. He found it hilarious that I had been arrested. He knew that it had not been me. I sometimes imagine, though. What if I had been jailed? 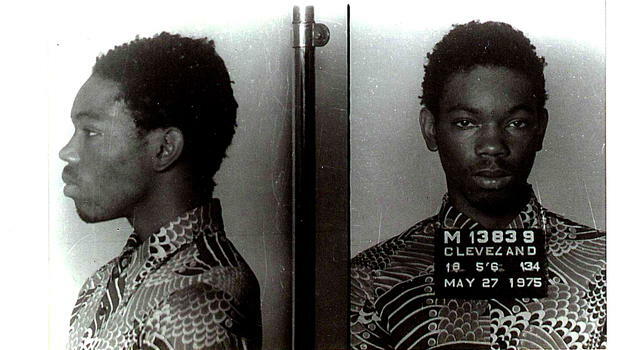 People like Ricky Jackson do find themselves convicted of crimes that they did not commit. Injustice bothers us. We know that it happens and that good citizens fight it when they can. However, we fear being on the receiving end of corruption, capricious cruelty, or persecution. How would we explain to someone why Christians suffer injustice? How could God use something as awful as prison to work for good? In the Bible we see many times when God works his will through famine, warfare, and disease. Are these good things? No. They are evils that have come to the world through the result of the fall. However, sometimes great evil can be allowed to bring about a greater good. Ricky Jackson has a greater appreciation of his daily routines because he has known what it is to have them restricted. I have a greater appreciation for all the west has to offer because I have walked the war-torn streets of Afghanistan. Sometimes God allows an evil so that a greater good can result. We have been reading the book of Genesis together and we have just finished chapter 39. In that chapter Joseph was thrown in jail by Potiphar for a crime that he did not commit. He was accused of trying to seduce Potiphar’s wife. It is telling that Joseph is not executed. In fact, as we shall see today, Potiphar – the Captain of the Guard – did not send Joseph very far. I believe that Potiphar knew that Joseph was innocent, he knew the character of his wife, but to save face he put him in prison. I have enjoyed reading chapter 40 repeatedly and looking up the background to the story. Before we read the story from scripture together, I want to run through the story to orient ourselves and tell you what I found. In chapter 40 of Genesis Joseph is still in jail. We are told that the cupbearer to the king and the king’s baker were thrown into jail, too. These are two officials involved with the food and drink of Pharaoh. Did the king have an upset stomach? Was there an attempt on his life? The cupbearer is sometimes called the butler in some translations. He is called the wine steward in others. In any case the ancient role of the cupbearer is obscured. My friend Ryan George pointed out that Pharaoh’s butler would have been more like Batman’s butler, Alfred. He would have been more of a secret service agent, responsible for keeping Pharaoh alive. Often the cupbearer was one of the most trusted people in the court, even a close friend to the king, so for the cupbearer to be in jail would be as scandalous as us hearing that the head of the CIA was in jail. To be angry with someone in scripture means to turn against them. The god-king Pharaoh has turned against, is in opposition to, his trusted aide. Joseph rises to prominence wherever he is placed. Joseph and these important men are imprisoned in the round-house prison of the Captain of the Guard. If we connect this detail with the previous chapter, we can conclude that Joseph is in Potiphar’s own jail. If this connection between chapters 39 and 40 is legitimate (and I think it is), we can conclude that Potiphar continues to entrust Joseph with responsibility even when he is in captivity. Joseph is entrusted with the care of the most important prisoners the captain of the guard could be expected to hold. We can imagine that he cares for them with the same diligence as he cared for Potiphar’s household before he was dismissed from office. This was a daily routine for Joseph. He was enslaved and imprisoned, but even then he had opportunities to show the quality of his character. After some time in captivity both the cupbearer and the baker had dreams. The Bible states clearly that each dream was distinct. However, when dreams are mentioned it should prick our interest. At the beginning of Joseph’s narrative dreams have distinguished him from his brothers. Dreams are central to Joseph’s story. Dreams were understood by people of the ancient world to be a connection with the spiritual world. Gods spoke to mortals through dreams. However, even though there were standard ways in the ancient world to interpret dreams, the true interpretation of many dreams was beyond the occult practices of the day. As part of his morning routine Joseph checked in on the cupbearer and the baker. After their dreams their faces didn’t look so good. Some translations tell us that their faces looked ‘evil.’ I think that is telling. What is evil in the Bible? Evil is anything that stands in the way of God’s goodness. God’s goodness was yet to be revealed to them. Without the goodness of God they were in the darkness of perplexed despair. They would have had a reverence for dreams. They were probably aware, being confined together, of the fact that their dreams were similar. They would have been aware there was more to their dreams, and the possibility of what that might mean to two people in jail would have been troubling. They would have usually had access to the court of Pharaoh and in that court, we know, were those who claimed the ability to translate dreams. Now they would think that maybe the gods had spoken to them and there was no-one to tell them what the dreams meant. Joseph, despite his powerless state, points the glory to the one true God. He asks rhetorically, “Don’t translations belong to God?” In this way Joseph claims access to the one true God in contrast to the gods of the Egyptians. He knows he can turn toward the true God and so he will provide a true interpretation of the dreams. We should not think of Joseph as the dream expert who is translating dreams all the time for everyone who comes to him. Joseph relies on God in every circumstance. His reliance on God to interpret dreams is just a reflection of the focus of his life. He is in prison because he wouldn’t sin against the God who directs his thoughts and actions. He now turns to God when there is no interpretation of two dreams. Either because of their friendship and the care they have received, or because they truly believe that Joseph is a seer of some kind, they think they can trust him. The cupbearer launches into the details of his dream and tells them to Joseph. When the cupbearer describes the dream it involves the tools of his trade. He sees a vine grow in ways that we are used to seeing on T.V. but would have been quite difficult to imagine in the ancient world. He saw a vine with three branches go from bud to blossom in seconds. Then, in moments, there are grapes for the cupbearer to squeeze. He squeezes the grape juice into Pharaoh’s cup and places it into his hand. Relying on God gives Joseph the interpretation. No occult rites are needed. No mystic practices are engaged. Joseph speaks instantly with the simple insight that only God could give. Joseph tells the cupbearer that the three branches represent three days and that in three days Pharaoh will lift up the cupbearer’s downcast head to honour him and restore him to his former position. Joseph gives us insight into how he feels about his captivity when he uses his interpretation to ask a favour of the cupbearer. For services rendered he would like to be released from the house, or ‘pit’ that he is in. The term ‘pit’ that he uses does not refer to the physical qualities of his circumstances, but it does conjure images of the empty cistern that Joseph was thrown into by his brothers. It is likely that in his own mind he is connecting the trial of his present circumstances with what has gone before. Modern psychologists call this ‘triggering.’ Our emotions come to the surface from a place deep in our brain. Events in the present can connect us with unresolved pain from the past. Joseph probably has not had resolution to his own hurt at being rejected by his brothers and cast aside by them into a hole in the ground. He may have heard that they had threatened to kill him. Can you imagine the anguish and the lasting pain of facing death at the hands of your own family? In Genesis 40 we see that Joseph himself refers to the events we have read in the previous chapters. Just like Ricky Jackson in our opening story, Joseph protests the injustice he has received because he is innocent. His position of favour in the prison and with the ‘captain of the guard’ speaks to his innocence. As readers of the text, our conscience speaks out with indignation at Joseph’s treatment. However, many convicts try and claim innocence in the face of extended jail time. How would those meeting Joseph know him to be anything other than a common criminal? After Joseph has interpreted the cupbearer’s dream and asked for the cupbearer to remember him upon his release, the baker perks up. “If the cupbearer’s dream has had a favourable interpretation, my dream must have one too!” he reasons. Those of us who know how the story unfolds smile at his optimism. We know the interpretation of the baker’s dream is not so pleasant. As many of us know, the baker has three white or wicker baskets on his head. They are filled with the kind of pastries that the king, Pharaoh, enjoys, but rather than giving the breads to Pharaoh the birds of the air come and take the breads. The interpretation sounds hopeful to begin with. The baker will also have his head lifted up. However, in this case he will have his head lifted up and off of his body. His body would be impaled on a stick, but metaphorically the text says that he would be hanged on a tree. When the text talks about hanging in the ancient world, it is not hanging as we think of it. It is taking a person, or a person’s remains and impaling them. Pharaoh’s birthday followed three days later and as part of the celebrations the interpretation of the dreams was fulfilled. We expect, then, for the cupbearer to remember Joseph and for God to immediately secure Joseph’s release. God gifted Joseph with the chance to connect with the cupbearer. God gifted Joseph with the interpretation of both of Pharaoh’s servant’s dreams. However, when the chance comes for Joseph’s obscurity and suffering in prison to end, Joseph remains in captivity. Why? God sometimes uses suffering and neglect by others to work his plans in his own timing. There are times when God allows suffering and neglect because they can serve his purposes. Please turn to the passage in Genesis 40 with me and we will read it together from verse 1. Some time after this, the cupbearer of the king of Egypt and his baker committed an offence against their lord the king of Egypt. And Pharaoh was angry with his two officers, the chief cupbearer and the chief baker, and he put them in custody in the house of the captain of the guard, in the prison where Joseph was confined. The captain of the guard appointed Joseph to be with them, and he attended them. They continued for some time in custody. On the third day, which was Pharaoh’s birthday, he made a feast for all his servants and lifted up the head of the chief cupbearer and the head of the chief baker among his servants. He restored the chief cupbearer to his position, and he placed the cup in Pharaoh’s hand. But he hanged the chief baker, as Joseph had interpreted to them. Yet the chief cupbearer did not remember Joseph, but forgot him. In preparation for this sermon I wanted to look, not only at stories of people who had been arrested innocently, but of people who had been arrested for their faith. I started by looking once more at the story of Richard Wurmbrand and his time in jail, but the book Prisoners of Hope was the book I decided to read. It tells the story of two workers in Afghanistan, Heather Mercer and Dayna Curry. The two young women both went to work for Shelter Now International in Afghanistan. SNI is a humanitarian organization which aids in the development of villages and relief projects in Afghanistan and Pakistan. SNI is a Christian organization and in the reign of the Taliban this drew attention. After the pair of women had made contact with a particular Afghan family, their taxi driver began acting suspiciously. He picked up a young man by the side of the road and the young man directed the taxi driver to bring Heather in for questioning. Soon Dayna was picked up too and the two were arrested for sharing the gospel with a Muslim family. In their book, the women tell both how they were treated as guests in the prison sentence that followed and how they were treated poorly. In their early captivity they were allowed to get supplies from their house and from the bazaar. They would regularly share their precious commodities with the Afghan women who were also imprisoned by the Taliban. While in prison they kept their spirits up by singing songs of praise to God and even composed new songs, mostly based on the psalms. The contrast in the attitude of Heather and Dayna became really apparent when a British journalist called Yvonne was put in the same prison as them. Yvonne wanted to maintain a hard front. She wanted to be unbroken. Heather and Dayna heard Yvonne insulting her interrogators. She said that you could tell how advanced a country was by the condition of its prisons. The prisons of Afghanistan were evidence of how backward the country was. Yvonne screamed and railed whereas Heather and Dayna tried to respond with grace and kindness. In the account of their imprisonment Heather and Dayna expressed gratitude for the way that some of their captors risked themselves by asking for supplies, making inquiries in the outside world, or protecting them from cruelty. Heather was the younger of the two and her mental health suffered the most. After September 11th 2001 she became more afraid what would happen to her. Her fears gripped her and she found it hard to pull herself together. It looked like the Taliban might execute them as an example to the rest of the world. She wanted so badly to live that she couldn’t accept that death was God’s destiny for her. However, later in her captivity she found strength by surrendering to God whether he would be glorified in her life or her death. She found peace in surrendering to God. She grew. She was able to make more clear-headed contributions to the group. Dayna was slightly older and the changes in her were less marked. She had come to Afghanistan to serve the people and whether she served them in life or in death she was already surrendered to God more fully from the start. Both young women constantly cried out to God and God did deliver them. Suddenly freed by infighting among the warlords in south east Afghanistan a Navy Seal team was able to pick them up on a disused airfield. 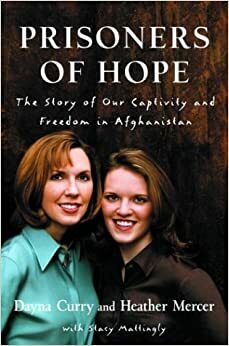 A detail I found interesting was that, as they were flying in the helicopter with the Navy Seals, a number of the Navy Seals said that they were believers and they had been praying for Heather and Dayna since they were imprisoned months before. God often puts his signature on his work. God’s people are sometimes imprisoned and they suffer unjustly. We can look at a web site like Voice of the Martyrs to see how Christians are still imprisoned, tortured, and even killed for their faith. This is nothing new, it happens to people in the Bible. We need to be careful when sharing the gospel that we communicate something more of the cost. Jesus did this in Luke 14. He said that people must put him before their families and that their families might turn against them. Jesus said that those who were not willing to take up their cross, a symbol of excruciating suffering, were not worthy to be his disciple. When we flippantly tell those that don’t know Jesus that God has a wonderful plan for their life, they are probably not picturing pain, persecution or separation. Remember, though, God sometimes uses suffering and neglect by others to work his plans in his own timing. There are times when God allows suffering and neglect because they can serve his purposes. Ricky Jackson suffered injustice because of false testimony, but he grew as a horticulturalist. He maintained his character and grew it in the face of suffering. Joseph maintained his integrity and his reputation grew, even when he was in the pit of prison. Heather Mercer and Dayna Curry gave gentle answers and aided their fellow prisoners, communicating the love and care of Jesus, even when they were in fear for their lives in a Taliban prison in Afghanistan. be a present. When I refused, they told me that they would take me to the local police station and hold me in a cell. I told them that they could and I would tell the people there all that I had just witnessed. At that point they came across my Bible in my bag and they fell silent. They asked me what it was and I told them that was my ‘Injil’. ‘Injil’ is the word for the New Testament. At that they grew silent and put everything carefully back in my bag. They escorted me from the building and put me in a taxi and sent me on my way. The encounter was brief, only a few hours, but I grew in my faith and my resolve during that short time. Some of us need to be ready for the unexpected when we travel around the world because the world is an unstable place. However, many of us just need to apply this passage to our own back yard. Although we are not now in prison some of us suffer in other ways. 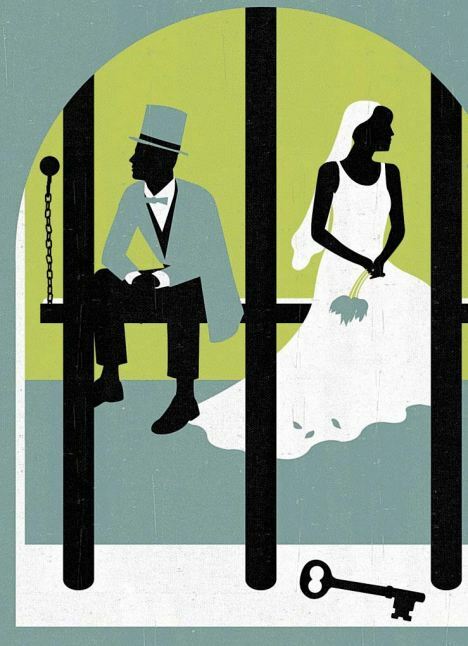 We may feel imprisoned in our marriages. We married a man in good faith. We believed that he was a good man. A trustworthy man. We believed that we would be a good team. However, his character has changed in the marriage. His faith has diminished. He does not go to church. If we ask for help with anything we get resistance or cruel words. Maybe in our marriage both of us are struggling. We don’t feel like the marriage is doing anyone any good. The question we might be asking is “What do I get from this marriage?” Like Joseph we might despair, “How did I end up in this pit?” It is through suffering and difficulty that God pushes us toward maturity. It is in the waiting room of life that God does his most profound work. If we look at the marriage and think, “If my spouse is my enemy, how do I love my enemy?” or “How do I grow through living selflessly in a loveless relationship?” we may find that we receive more of God’s presence when we look to him in desperation than we did when we looked to him in comfort. Of course, I must say that I do not believe God wants us to enable a physically violent or incurably abusive person, but we may be able to get past ‘irreconcilable differences’ and feelings of isolation and neglect if we look beyond our spouse toward what God is doing. Some of us may feel like we are looked down upon by others for one reason or another. We may feel isolated and abandoned because we are not old enough to be included or we are too old. In our teenage years it feels like we are not allowed to do many of the things that adults get to do. When we are old we sit watching the television, hoping that a friend or relative will drop by. We can feel like we are in our own prison. However, God has uses for people no matter what their age is. It may not be the dream that we desire, but we can all be useful in the kingdom of God. If we lay our own agenda to one side and seek fully what God’s agenda is, we may experience joy in the midst of suffering. At work, do you work hard to carry the load but receive very little recognition and respect? Appreciation is a fundamental human need. God accepts and loves us unconditionally, but he equips people with the gift of encouragement to keep his people motivated and moving. It is well known that companies that recognize and praise their workforce for a job well done are better companies. However, many of us work in the office and feel invisible. Sometimes we work hours on a project and present it to our boss just to have them look down their noses at us. Bosses who feel anxious and insecure cut us down and pull attention toward themselves. In the worst scenarios we know how bosses will even take credit for others’ ideas without acknowledging the real source of creativity at all. 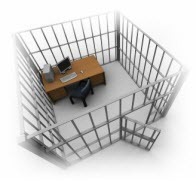 Without recognition or respect, and living in a poor job market, we can feel imprisoned. We can become more and more demotivated. Even depressed. However, if we look to the opportunities God gives us to serve him in our circumstances we can rise above the mundane and we can experience a level of joy even when we believe we are invisible. We are never invisible to God and he delights in work that originates out of his love for us. Our cubicle needn’t be one more shadow in a company filled with darkness, it can be a light which illuminates our whole floor. Our boss needn’t be seen as an obstacle around which we need to navigate, he or she can be an opportunity to share God’s goodness. The strength to be countercultural in the workplace forces us further into the arms of our savior. So, in summary, whatever your prison, however isolated you feel, God can use you to reflect his glory and further his kingdom. In Ricky Jackson’s case, eventually a pastor asked Eddie Vernon about his testimony and Eddie Vernon broke down. He admitted that the police had threatened him. Threatened violence to his family. They had fed him information about the crime. He wanted to make amends even if it would land him in jail. After 39 years the verdict against Jackson was reversed. He was allowed to go free. He had missed so much of life on the outside. The hardest moment being when his mother passed away. However, he decided not to be bitter of angry. He decided to be happy and embrace his freedom. How would we have reacted to being released after years in jail? If we are honest we might see the work that God still needs to do in us. In our times of suffering, though, we need to remember, God sometimes uses suffering and neglect by others to work his plans in his own timing.